Do you know how to build a speaker using paper, glue, some wire, and a magnet? What's on the final exam -- Questions/problems will be taken from the following sources. Finish your PowerPoint. Due next Friday (June 5th). Final exam on Friday. If you have to take it, study. Be prepared to ask questions next class (Thursday). Any review that we do will be student-driven. Warm-Up: No warm-up today. Set up your solar cooker. 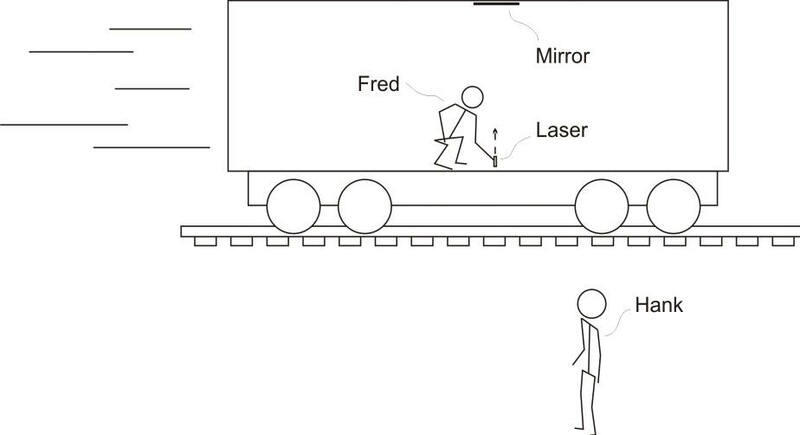 Fred is conducting a laser experiment on a very, very, very fast train. He attaches a mirror to the roof of the train car and shines a quick pulse of laser light directly upward at the mirror. Hank is standing still outside the train. The train car is made of glass, so Hank can see the whole thing. Tests are not graded. I didn't think I would be here. Some of you are missing instrument recording grades and light quizzes. May 27th (next class) -- Solar cookers due. 2 more class work days. June 4th or 5th -- Final Exam. Ideally, we will have it on the 5th, but if solar cooking weather looks better on the 5th, we may have it on the 4th. I will make a decision by June 2nd. When you look in a mirror, things appear to be "flipped," but mirrors only seem to flip things one way. 1. Which shirt shows the correct flip? 2. Why don't mirrors flip things the other way? Work on solar cookers. Project outline. May 27th -- Solar cookers due. 2 1/2 class work days. 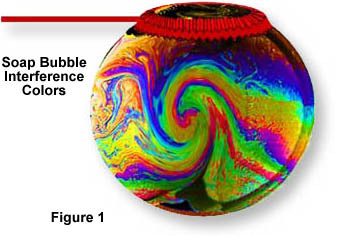 Warm-Up: Why do oil slicks (and sometimes soap bubbles) often have interesting patterns of color? 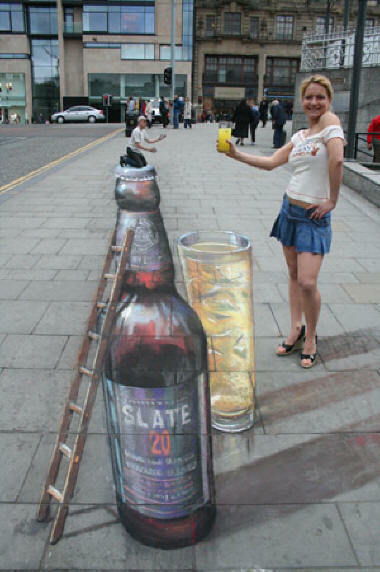 Look at the picture on the right. How was it created? In pairs or alone, research solar cookers. Using 1/2 of a reflective mylar survival blanket (54"x42"), plus other materials (up to you), raise the temperature of a hotdog as high as possible in 15 minutes using only energy from sunlight. Sketch three different ideas for a solar cooker design. Label your materials. Briefly explain how each solar cooker works. Practice test next class: review your notes. Which parts of these mirrors are concave? Which parts are convex? Lenses and Mirrors. Ray diagrams. Drawing practice. Re-create all of the ray drawings from your notes. Quiz next class over "lenses, mirrors and ray diagrams" notes #3-13." 4. What is the connection between these pictures and refraction? Return insrument recording grade sheets. Photograph instruments. Lenses and Mirrors. Outdoors experimentation. Have you ever noticed that there are RGB and CMYK color systems? In what applications are the two systems used? How do they each work? Does anyone want/need to work in this room during AST? Wrap up notes on refraction. Quiz next class over light notes. Be able to correctly draw refracting rays of light. Anticipate how light will bend. 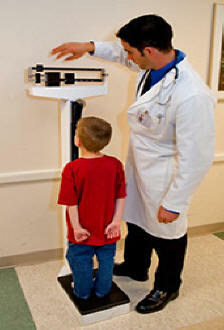 The diagram below shows top views of the same boy looking into mirrors. On the right, the mirror is a simple flat mirror. On the left, the mirror is two separate mirrors arranged at right angles. The boy has one blue eye and one green eye. 1) When he looks in the mirrors, where will his blue eye appear to be? Make sure that you have turned in your master recording. Master recording is due on Friday. On Friday, we will be working on optics. If you need additional time to finish your project, you will need to complete it outside of class. If you don't have one, you can check out a microphone from the AV room in the library. You can borrow an audio plug from me. Warm-Up: Making pickups today. No warm-up. If you haven't already watched it, watch the video. Solder a thick wire to the thin wire. Connect a 1/8" plug to your wires. Design pickups or work on recordings. 100% for a functioning pickup with an ornamental design. 90% for a functioning pickup without the design. Email your completed .3dm file to Mr. Stapleton. Master recording is due on Friday. Suppose you want to compose a simple song. 1. If you want your song to sound bright and happy, should you use a major key or a minor key? 2. On what note should you end your song? 3. Many songs have a "bridge." What's a bridge? Make your recordings. Project Requirements and Grading It is easiest to save one recording plus a narration at a time. Later on, you can put everything together. More Minor key songs -- superscripts mean the note is in the next octave up. Subscripts mean the note is in the next octave below. 1. There are 8 pennies lying on a table (as shown in the diagram). By moving only one of them, how can you organize them into two strips of 5? 2. What runs fore to aft on one side of a ship and aft to fore on the other side? How can you add narration to your Audacity file? How can you organize multple tracks in Audacity? Prepare your instrument for recording. It will help to add some note numbers (1-7) for your major and minor key notes. If your bridge and peg box are set up correctly, you can create your own elastic strips. Make your recordings. It is easiest to save one recording plus a narration at a time. Later on, you can put everything together. Click the edit tab. Choose preferences. Select recording. Turn off overdubbing. In the main window, switch input channels to mono. Plug in your instrument and make your recording. Use the change pitch effect to learn about your notes' names and frequencies. Unplug your instrument and plug in the headphones. Record your narration. On the left side of the screen, click the part of your narration's box that says "audio track." Then select move track up. Select both tracks by clicking on the top one and dragging downward to the bottom one. Click the tracks tab. Click the align tracks tab. Click end to end. If the tracks don't start at time zero, select them again and align them the same way, but use the start to zero command. Listen to your file. Then export it to a safe location as a .wav file. You're standing next to a highway. As a car passes you, the frequency of its engine noise drops 3 half-steps, from a G (196Hz) to an E (164.81Hz). What is the car's speed? In order for these calculations to be valid, what velocities must the car have? For what range of speeds will this method work? Materials for making your own pickups have not yet arrived. You will have an opportunity to create your own pickup and give your instrument a finished look. Some fireplaces and wood stoves have blowers. When the blower operates at the resonant frequency of some part of the fireplace, the stove rattles or buzzes. As a stove heats up, it often buzzes for a while and then stops. The buzzing may start and stop several times over the course of a day. If the blower always operates at the same rpm, why does the buzzing start and stop? Determine the spacing of your frets. Make and/or add your frets. Mark notes or prepare elastic. Find a way to temporarily attach a pickup -- so that you can easily remove it and share it with others. Instruments must be playable by next class. If you don't have raised frets by then, you will have to use non-raised fret marks. 1. There are three misteaks in thi sentence. Can you find them? 2. What five letter word do almost all educated people pronounce wrong? 3. Mary digs up an ancient looking coin that is dated 218 BC. How does she know that it's obviously a fake? Returning tools -- where do they go? Homework: If you need materials for your string instrument (e.g. box, cookie tin, corrugated pipe, etc.) bring your stuff to our next class. Warm-Up: Can you think of a way to make good raised frets? 1. Why does adding a hollow body to a string instrument make it louder? 2. Where on the instrument should the bridge be placed? Warm-Up: The pictures below show some homemade magnetic pickups. If you were to design your own magnetic pickup, what would it look like? Check on homework -- did you finish and submit your spreadsheet? Consider designing housings for pickups -- to be 3-D printed on the library Ultimaker-2. Warm-Up: What was the loudest noise ever? 1. Why do you think the fret spacing on guitar fingerboard gets smaller as you move from the nut to the bridge? 2. Which open string do you think has the highest frequency? Why? Finish recordings from last class. Create your own Google spreadsheet that works like this one. You enter values into the yellow cells, and the rest of the cells are populated by formulas. Share your spreadsheet with Mr. Stapleton. 1. If the patterns of whole steps and half steps for major and minor scales each include 7 letters (WWHWWWH and WHWWHWW), why does an octave have 8 tones? 2. What is the real shape of the standing wave in a plucked string? 3. When music experts talk about the pitch of a vibrating string, they talk about "fundamental" frequency and "harmonics." What do these terms mean? How can you hear them on a string instrument? Create recordings of major and minor scales. Use one of the diddley bows from last year to record two different minor and major one octave scales. If you're working at the same computer with a partner, you must each play different scales. You may need to enable the microphone jack. Record your scales using Audacity. Make sure that your scale has 8-notes. Use the change pitch effect (under the effects) tab to determine the note name of the tonic (starting note). Export your recordings as .wav files and email them to Mr. Stapleton. 1. Approximately how long is the vibrating string on the right? 2. How many nodes and antinodes are present? 3. What's the wavelength of the standing wave in the vibrating string? You may need to take notes on this process. Create recordings of major and minor scales. Use the virtual piano to create 2 recordings of one of these scales (1 major scale + 1 minor scale = 2 scales): B, D, E, F, G. If you're working at the same computer with a partner, you must each play different scales. Record your scales using Audacity. 1. What's a diddley bow? 2. How does the bow of a string instrument create a sound? Complete some of "practice questions" at the end of waves and music notes -- see a classmate for the specific numbers to complete. 1. Do you know what "psi" means? 2. According to the table below, the "sound amplitude" of a .30-06 rifle fired at a distance of 1m is about 1psi. What is the air pressure (in psi) in one of the sound wave's compressions? What is the air pressure in one of the sound wave's rarefactions? 3. According to the table, there is a limit to how loud an undistorted sound can be. Why can't sounds keep getting louder and louder forever? Waves test next class. Study. 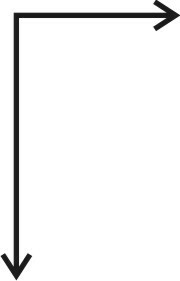 The people in the diagram are separated by a distance of 18 meters, and it takes the waves 3 seconds to travel from one person to the other. 1. 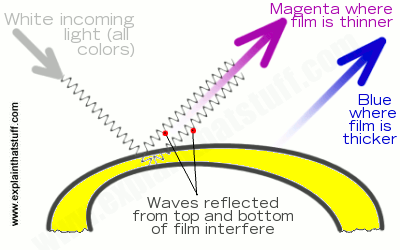 What is the wavelength for this series of waves? 2. Make a rough approximation of the waves' amplitude. 3. Calculate the waves' velocity. 4. What is the waves' frequency? A1/2 and A5/6: Complete Waves Practice test 20-23, and 26-34. 1. ...an object to its left versus its right? 2. ...distant objects versus nearby objects? 3. ...large objects versus smaller objects? 4. ...objects moving toward versus away from the bat? 5. You see a flash of lightning. 10 seconds later, you hear the thunder. How far away was the lightning strike? The speed of sound in air is about 768 miles per hour. What happens when a noisy object travels faster than the sounds it is producing? Suppose you're standing next to a highway, listening to the passing cars. What happens to the cars' pitch as they pass by? Do you know why? 1. 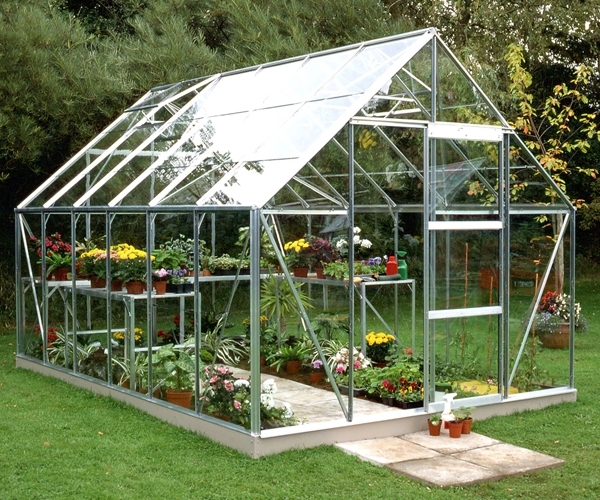 An arch cannot support itself if the top pieces are missing, but a dome can. Why? 2. 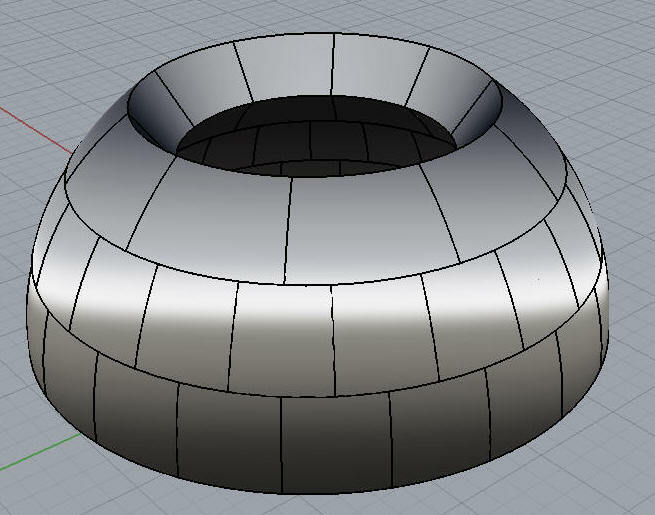 If you make a dome or arch that is a little bit wiggle or unstable, how can you use wedges to increase stability? 1. 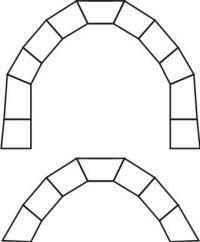 Why is an arch (like the one on the right) stable? 2. The arrows in the second diagram represent forces of different magnitudes and directions, acting on an object. In which direction will the object move? 3. In the third diagram on the right, which of the two arches is most stable? 4. In a stable arch, what type of force plays the biggest role -- compression, tension, or bending? 5. 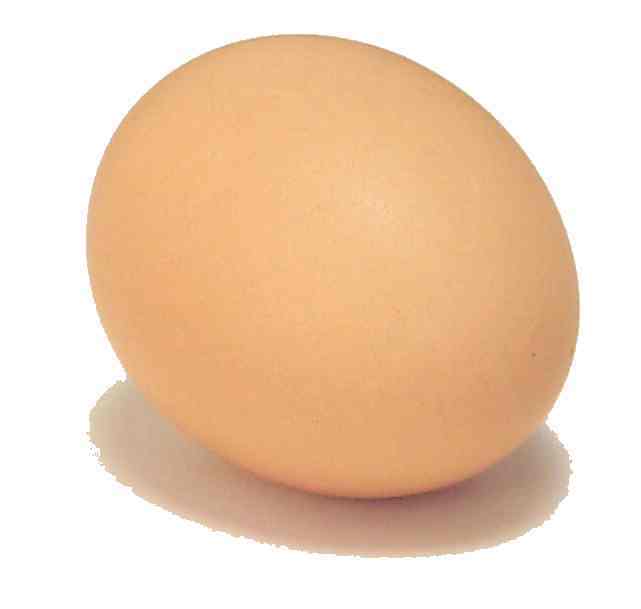 If you hold an egg in your palm and squeeze it, why is it so hard to crack? Quick quiz -- why are arches and domes so stable? 'They are designed so that their force vectors are directed parallel to their walls, so their walls are compressed, rather than bent. Test on Wednesday, not Monday. Which of the the wooden blocks on the right is (are) probably stable? What makes it (them) stable? Figure C shows two separate blocks. Check and go over test review. Videos explaining how to solve each type of problem are on Mr. Stapleton's YouTube channel. Investigate stability of arches and igloos. Bring warm snow clothes to wear during next class. You can drop them off in here ahead of time. Put them in a bag with your name on it. 1. How does a safety helmet protect one's head? 2. How do aerial skiers turn in the air? 3. Why did a guy in a "squirrel suit" crash land in a bunch of cardboard boxes? Is the sprinkler valve faster? Finish the test review. Test next Monday. 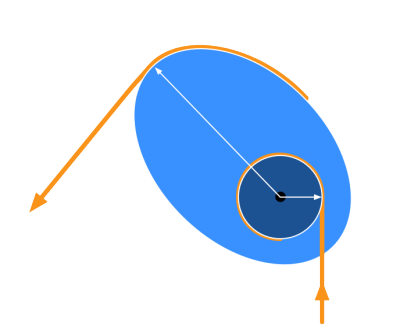 When a projectile impacts a ballistic pendulum, the projectile embeds in the pendulum, causing the pendulum to swing (with the projectile inside it). 1) Is momentum conserved during the collision? 2) Is kinetic energy conserved during the collision? 3) Is momentum conserved after the collision (during the upward swing)? 4) Is energy conserved after the collision (during the upward swing)? Use your data from class (pendulum mass, projectile mass, swing height) to calculate your projectile's initial velocity. Follor the same procedure that we used on the worksheet in class. 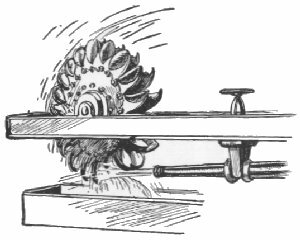 One of the graphics on the right shows a kind of water-powered turbine called a Pelton Wheel. 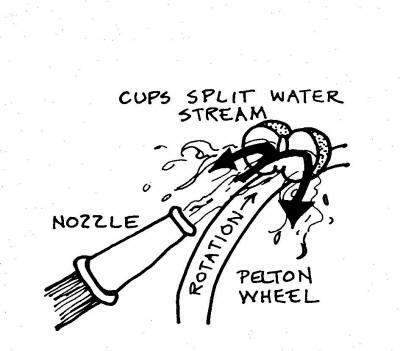 The other shows how a Pelton Wheel redirects the flow of water. Explain how this redirection of the water's flow provides a strong impulse as the water pushes the wheel. A 3/4 and 5/6: check and discuss homework. Make Nerf® darts fly as fast as possible. Use impulse to calculate average acceleration force and stopping force. What was the length of the tube, in meters? What was the mass of your projectile, in kilograms? What was the distance between your photogates, in meters? How many seconds did it take your projectile to pass between the photogates? What was your projectile’s deceleration distance? In other words, how many meters did it travel while it was being slowed down by the backstop? Suppose I stand a board on end and shoot it with a Nerf ® dart. Am I more likely to knock the board over if I use a dart that sticks to the board or if I use a dart that bounces off of the board? Move an egg to the wall as fast as possible. 3. Have you ever been whipped by a towel? 4. 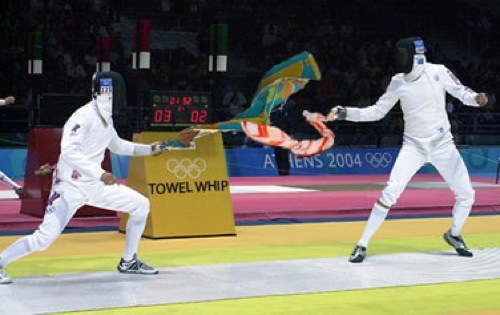 Do you know how to maximize the effectiveness of a towel whip? If you arrive late, make sure that your attendance is entered correctly before you leave. If you have to take the final, there will be no review. Questions will come from the 2nd semester tests and notes. Save them. Complete Page 4 on momentum handout. 2) What machines do you notice in this video about sledding from a barn loft? How do they manipulate work? Don't forget that you can use a hand-written notes sheet, as long as you are the writer. The surface area of your notes can be up to 93.5in2. Measure time using a timer. Measure distance in meters, using a meter stick. Be able to convert cm to m.
Measure mass using a balance and convert grams to kilograms. Newton's 3rd Law says that every action has an equal and opposite reaction. 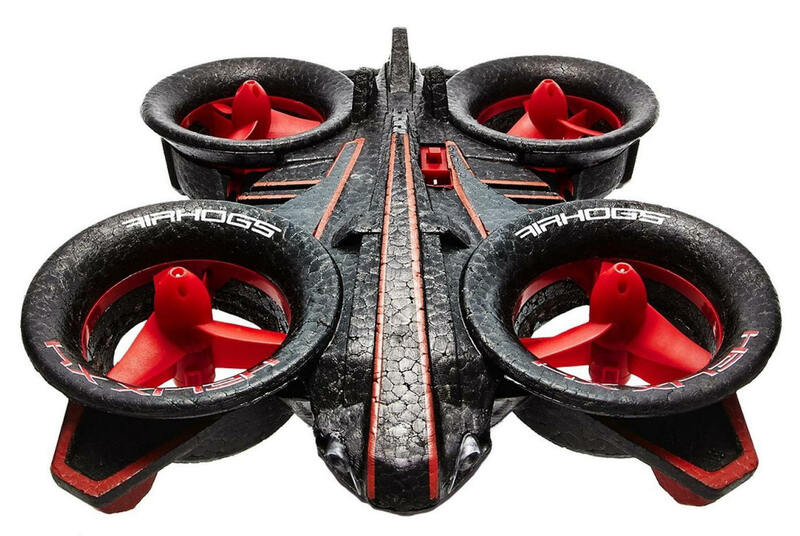 How does this law explain the steering mechanisms of a quadcopter? Specifically, how can pitch, roll, and yaw be controlled by speeding up or slowing down the various propellers? 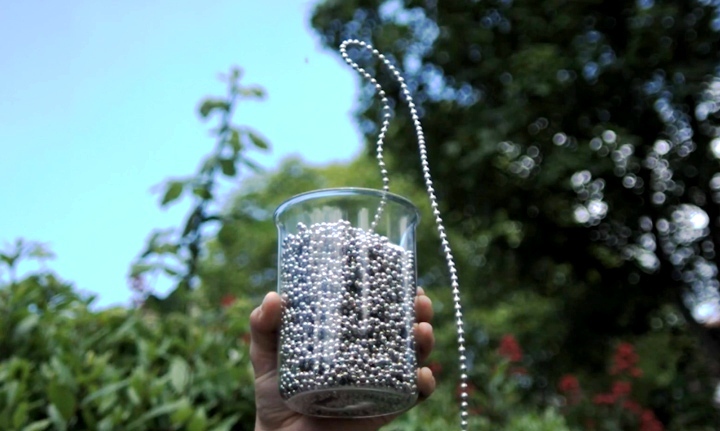 What causes a chain of beads to shoot upward out of a cup? Mechanical Advantage = MA = Input distance/Output distance. 1. Bob is using a winch to pull his boat onto a trailer. Bob's hand moves in circles, and the boat moves in a straight line onto the trailer. If Bob's boat moves 3 feet while his hand moves 15 feet, what is the mechanical advantage of his winch? 2. Think of another machine (any type of human-powered machine) that has makes work easier by manipulating the work distance. Estimate the mechanical advantage. Return tests -- look in the V:drive for graded versions of your test. Links to correct versions of the test will be provided. Answers have been replaced with a color code. Purple = no points for numerical answer (-1.5). Red = 1/2 point for numerical answer (-1). Orange = 1 point for numerical answer or incorrect units (-0.5). Here's a link to me completing version A quickly. Read Textbook Section 8.7 (machines) and review section 8.6. Answer questions 14-17 on p.117. Work = Fd. Describe three ways in which machines may be used to change the nature of work without changing its magnitude. If you have diligently kept track of all of your car journals, staple them and turn them in today for extra points. PowerSchool has been updated. Check your grades. A trucker's hitch can be used to tightly secure a load. A trucker's hitch can be thought of as a machine. 1. Can you tie a trucker's hitch? Return Homework questions assigned class 31. Prepare for test. Next class, students will be randomly selected to step forward and enter formulas into the practice test spreadsheet. Rename it with your name in the title. Enter formulas so that your spreadsheet works like the picture below. If you enter those data into the yellow cells, the white cells should return the values shown in the picture. Once your spreadsheet is working properly, enter your data. If your car set a new speed record, enter your new max velocity in the yellow column of the class data spreadsheet. If you didn't finish the horsepower spreadsheet, finish it. Then share it with Mr. Stapleton in Google Docs. Practice test due on Wednesday. Test Friday over problems and questions like the practice test, plus questions from the Class 31 homework. What is power? How is it different from energy or force? How much power is one horsepower? If one machine has more horsepower than another, what does that mean? What are the standard unit of electrical power? Make a copy of this Horsepower Spreadsheet. 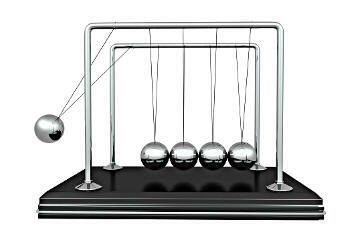 How does a "Newton's cradle" work? Prepare your car for final testing -- last 30 minutes of class, on Thursday. Top 6 cars overall earn 3% extra credit added to the project grade. Overall top 3 finishers earn 3%*, 2%, and 1% (respectively) added to quarter grade. Measure the distance your car rolls down a ramp of known height. Homework: Answer the questions below. For full credit, you must fully address each of the questions and provide reasonable explanations based on concepts that we have discussed in class (e.g. torque, F=ma, W=Fd, KE ≈ Work ≈ PE, friction). You must write or type legibly. 1. The wheels of your car are “spinning out” at the starting line. a. Describe four (or more) different ways to prevent the wheels from slipping. b. Use physics concepts to explain why each solution works. When possible, use a formula to back up your explanation. 2. “Spinning out” is not a problem for your car, but want your car to go faster. a. Describe three different changes that you might make in order to make your car go faster. 3. Your car is fast enough, and its wheels do not spin out, but it pops wheelies. This causes the car to veer out of control. Describe the best way to prevent wheelies, and use physics to explain why that method works. 1. 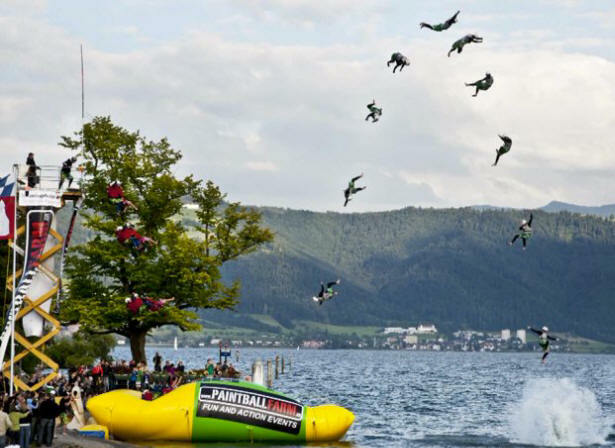 What do you notice about this Blob jump picture? 2. How did energy change form during the sequence shown on the right? Consider again the bowling ball pendulum. Suppose we raise the bowling ball 2m above its low point. Then we let it go. The mass of the bowling ball is 6kg. 2. What is the bowling ball's potential energy at its highest point? 3. How can we measure the bowling ball's velocity at its lowest point? 4. How can we use that velocity to determine the pendulum's efficiency (for this 1/2 swing)? Complete Torque, Work, and Energy questions and problems through #16. What do physics teachers usually do with a bowling ball hanging on a long, thin cable? Both spreadsheets must be completed by next class. Do not turn in the Cardboard Car Analysis Spreadsheet. Just finish it and save it on your drive. Make a copy of this Cardboard Car Analysis Spreadsheet on your drive. Collect more data if needed. Save your spreadsheet on your drive under a sensible name. Once you have completed your analysis spreadsheet, enter data from that spreadsheet in the Physics 100 Cardboard Car Data spreadsheet. Add graphs to car analysis spreadsheet. Read textbook section 8.6 and review sections 8.4 and 8.5. Answer review questions # 12& 13 (page 117). Answer Think and Explain # 3-6 (page 118). How could we measure the force of friction that is acting on your car? More quantity. Even one simple change can represent a new iteration. If you have created 3 or more versions already, you are doing okay. Drawings -- show your changes -- unless your changes are very simple and easy to describe in words (e.g. "everything the same as V2.0 except drive wheels changed from 3" diameter to 6" diameter"). Finish the back of Car Calculations Practice. Both spreadsheets (hyperlinks above) must be completed by next class. Do not turn in the Cardboard Car Analysis Spreadsheet. Just finish it and save it on your drive. Warm-Up: The picture on the right shows a compound bow pulley. The orange arrow pointing down and to the left points in the direction of the shooter's fingers, which are pulling on the bow string (to shoot an arrow to our right). 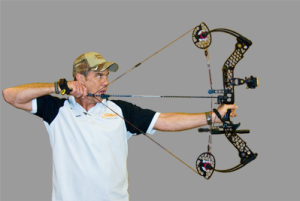 A compound bow requires a lot of force at the middle of the pull and less force at the end of the pull. 1. Does this diagram show the pulley's configuration at the middle or end of the pull? Perform full analysis of your working car. Here are video directions for measuring wheel force and completing the spreadsheet. Enter your data into this spreadsheet and create a graph. Warm-Up: The graph below was made by drawing (pulling back) the string of a compound bow. The required force was measured at stretch distances between 0m and 0.4m. 1. Why is it advantageous for the force in the graph to go up and back down? 2. What was the maximum force? 3. What was the approximate average force? 5. Assuming that the bow is 100% efficient, how much energy could it give to an arrow? Return ideas relating to steering. Turn in your journal pages. Put them in order -- oldest on top. Staple them. Make sure that all group member names are on top. Work on cars. Make sure that you have a working car ready to go at the beginning of next class. We will be doing some testing of work, energy, and efficiency. 1. 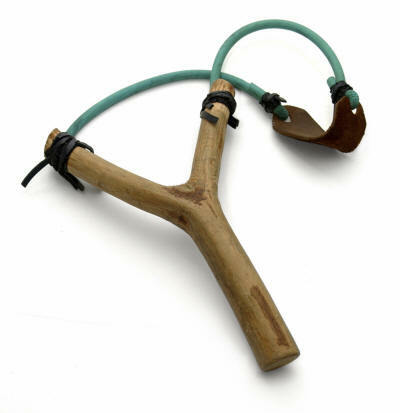 I have two slingshots. Slingshot A requires more force in order to stretch the bands, and slingshot B requires less force. Using less force, I can shoot the same projectile farther and faster with slingshot B. Explain how this is possible. What are the implications for your car? 2. What kinds of cars have the smallest turning radii? What kinds have the largest turning radii? What are the implications for your car? Turn in ideas relating to the problem of making cars go straight. When the toilet paper starts to get low in this particular type of dispenser, the user can have trouble pulling out a long segment of toilet paper. Any idea why? The brand name is a hint. Measure top velocity using video analysis. Video your car crossing floor tiles. Use v = d/t to determine velocity. Record data in your journal. Propose a method of making sure that the cardboard cars go straight. Write your idea down on paper and be ready to hand it in at the beginning of class. Don't forget to put your name on it. Suppose a nut is "frozen" onto a bolt. To loosen it, you're going to need to exert 80 foot·pounds of torque. You are unable to do this with the wrench that you are currently using. 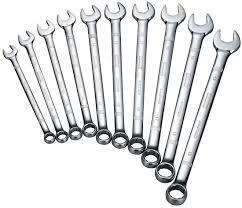 What kind of wrench should you look for? If you put much larger diameter wheels on your car, what will that do to your acceleration? Is that a good thing or a bad thing? Check your grades -- are you all set for the end of the quarter? Check in -- how is the project going? 1. What is the difference between kinetic energy and potential energy? 2. Which type of energy is stored in dragster fuel (nitromethane)? 3. Do you suppose nitromethane has more energy or less energy than ordinary gasoline? What about diesel? Hovercraft analysis is due today. Upload it using the form that was emailed to you. Suppose you wake up one morning and feel much heavier. Ordinarily, you weigh 140 pounds, but when you step on your bathroom scale (top right), the scale says you weigh 280 pounds! You haul yourself to the doctor's office, and the scale there says you still weigh 140 pounds, but you feel super heavy. So does everyone else you meet. It turns out that your situation is the result of a prank by a mischievous and advanced alien civilization. 2. Explain why your bathroom scale and the doctor office scale disagree. Assume that both scales are working properly. 3. Mr. Stapleton weighs about 190 pounds on Earth, which means his mass is about 86kg. Calculate the force of gravity that is pulling Mr. Stapleton and the Earth toward one another. 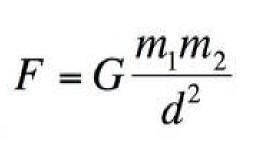 Use the formula for universal gravitation, on the right. m2 = The Earth's Mass = 5.97 x 1024 kg. hovercraft analysis due next class. If you want to use Logger Pro, you will need to do this on a school computer. Suppose you find yourself stranded in the middle of a large room. 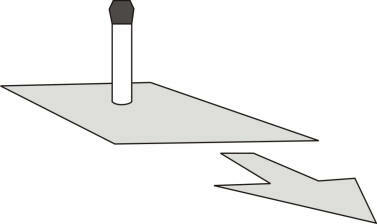 You are stranded because the floor is completely frictionless and level. Describe how walking usually works, and explain why it won't work in this situation. Describe what you could do in order to escape. Due Next Class: A56 -- last page of Newtons 2nd law practice. Suppose you shove a 0.2kg sled on level ground. After you let go of the sled, the sled slides for 6s and 20m before coming to a stop. Use the formula a = 2d/t2 to calculate the deceleration of the sled. Calculate the force of friction acting on the sled as it came to a stop. According to your spreadsheet, how do the projectile-pushing action forces compare to the sled-pushing reaction forces? Theoretically, which force should appear to be slightly greater? What's a hovercraft's coefficient of friction? Who can generate the most force? What's the thrust of a leaf blower? Due Class After Next (Monday): Analyze the hovercraft videos. Calculate each of the following using a spreadsheet, explain your methods, and show your work. You will have 30 minutes of class time to work on this on Thursday. Force of thrust generated by a leaf blower. 1. What is the difference between a 2-stroke engine and a 4-stroke engine? How can you distinguish one from the other? 2. At a similar horsepower, why are 4-stroke engines typically heavier? Calculate and enter Rocket Average forces. Enter data into the orange cells of the water rocket data spreadsheet. Complete calculations of sled and projectile accelerations and forces. Upload your spreadsheet as specified in the directions. The Earth's orbit represents a balance. It does not fly away from the Sun, and it does not get pulled into the sun. 1. What prevents the Earth from flying away from the Sun? 2. What prevents the Earth from flying into the Sun? 3. According to Newton's 1st Law, are the forces that are acting on the Earth balanced? In other words, is there a net force acting on the Earth? 4. 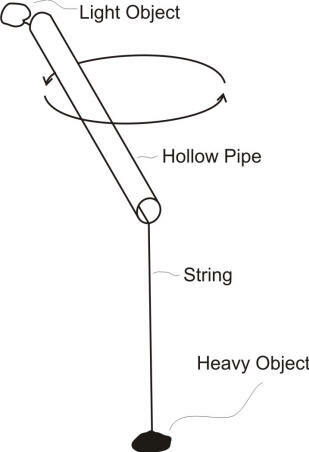 When the pipe on the right is swung in a circle, what happens to the objects and string? Why? What to do next: Rubber band cars? Paper rockets? Plastic rockets? Something else? According to Newton's 3rd Law, Actions and Reactions are equal and opposite. What things are NOT equal and opposite in this video? What things ARE equal and oppposite in this video? It is possible to pull the paper out from under the pen without tipping the pen. How can it be done? Why does that work? Spreadsheets are due (complete on Google Doc, below) today. 1. Can you balance a meter stick on your finger with the meter stick standing on end? 2. If you tape a heavy weight to one end of the meter stick, will it be easier to balance with the heavy end touching your finger or with the light end touching your finger? Finish completing the Google Spreadsheet of Rocket Data -- Due next class. Read textbook sections 4.1-4.3. Answer review questions 2-7 and 9 on pages 51-52. 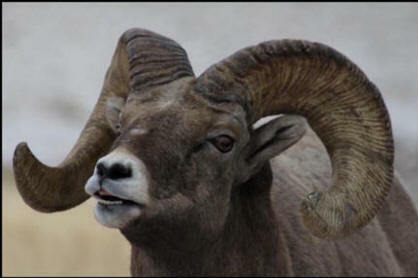 I am going to put a big rock on my head. Then I am going to put a piece of wood on the rock, and someone is going to hammer a nail into the wood. Will this hurt me? Why or why not? Analyze videos for rocket time aloft, acceleration, velocity, approximate height, etc. Add your data to this Google spreadsheet. Unit 1 (Motion) Test next class -- Tuesday. There is a heavy object tied to the ceiling with a string. There is an identical string hanging from the object. I am going to pull on the bottom string until one of the two strings breaks. Which string is going to break first? Why? After you complete the V:drive analysis, Add data to this Google spreadsheet. 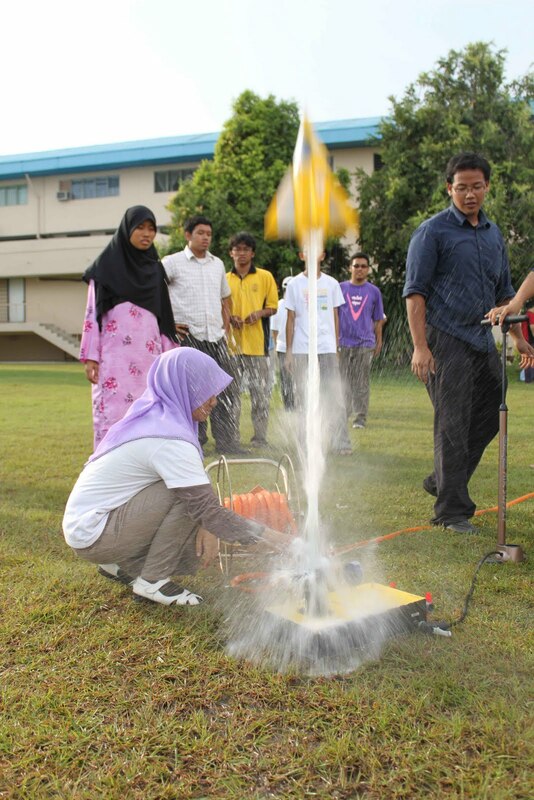 1) When a water rocket is launched, compressed air inside the rocket causes water to squirt out of the bottle. How does this make the rocket fly? 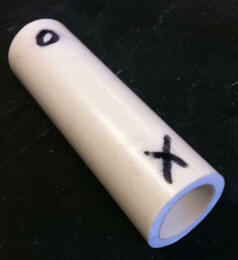 2) If you want to build a water rocket that flies high, you need to add some weight to its tip. How does adding weight help? 3) Successful rockets need fins in the back. How do the fins help? Finish going over answers to motion problems and calculating acceleration. Get a video of the entire launch. Before launch (during the video) stand next to your rocket. Slow motion begins just before launch. After the rocket falls to the ground, stand by your rocket again. Video ends after you stand by your rocket. Next Class: analyze videos for rocket time aloft, acceleration, velocity, approximate height, etc. Unit 1 (Motion) Practice Test -- due on Wednesday, 9/17. Motion problems and calculating acceleration. Complete and discuss. Does anyone have 2-liter bottles? -- next class, build (and launch?) rockets. 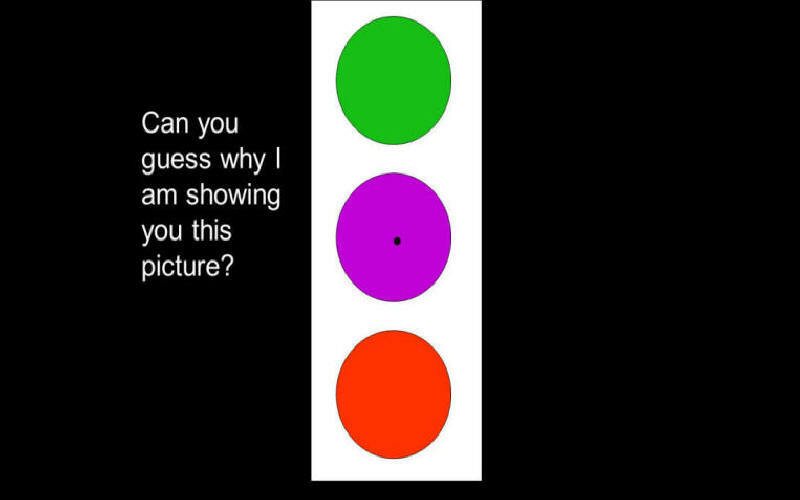 The sets of dots on the right represent frames of video taken of two different balls that are falling from the sky. The video camera takes pictures at a constant rate of 30 fps (frames per second). One of the balls is in free-fall. 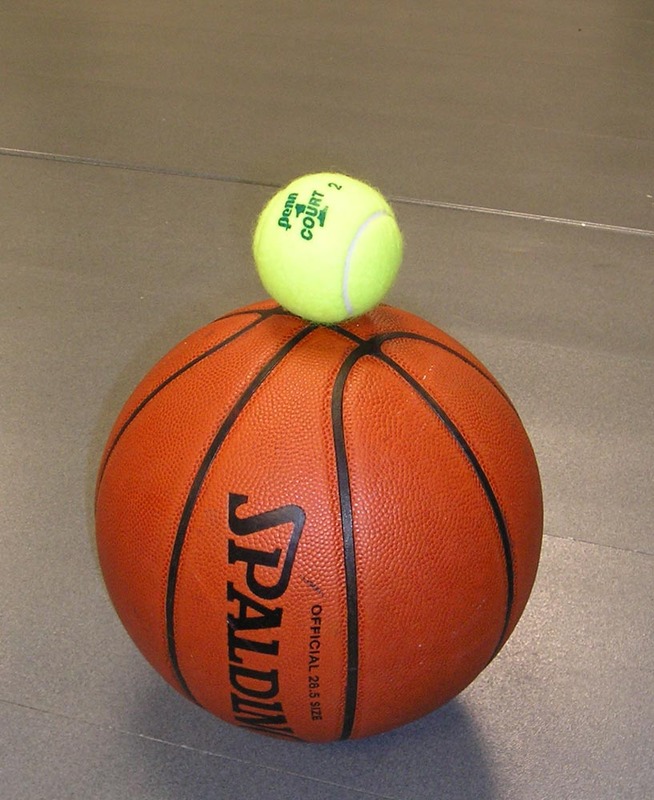 The other ball is falling at a constant velocity. What do you think "free fall" means, from a physics standpoint? *Acceleration Notes I put a video of these notes (from last year) on youtube. Print a graph showing your spool tractors' velocity vs time. 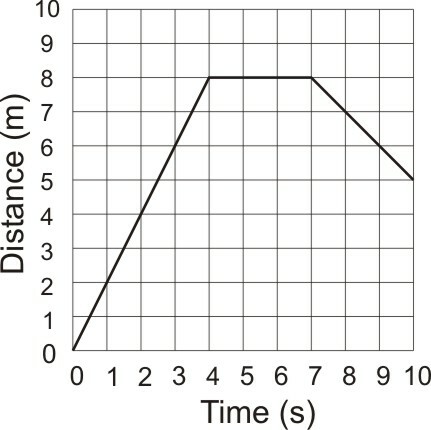 Use the printed graph to complete Spool tractor activity 3. Bring 2-liter bottles for making rockets. 1. A car circles a track at a constant speed of 70mph. Is its velocity constant? 2. Records of 132 cats that jumped from windows of buildings showed a 90% survival rate. The average drop was 5.5 floors. Why do injuries increase from floors 1-6? Why would injuries decrease at over 7 floors? Find and document your car's highest velocity -- video file name; starting frame for fastest crossing of a tile; end frame. *Acceleration Notes? I put a video of these notes (from last year) on youtube. Save all handouts with a star (or asterisk). Turn in course expectations if you have had them signed -- due today. We will be needing plastic bottles in the near future. If you have empty 2-Liter bottles (or any other large bottles with caps that are compatible with 2-liter bottles -- must be for carbonated drinks), please bring them in. 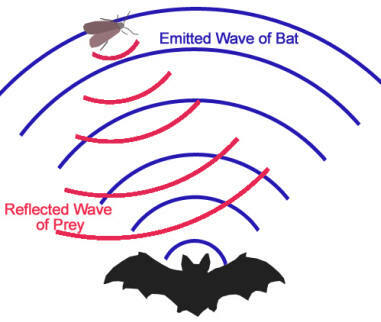 Suppose the graph on the right was made by a student walking near a motion detector. 1. How fast, in meters per second, was the student moving during the first 4 seconds? 2. What was his/her velocity during the last three seconds? Turn in course expectations if you have had them signed (not due until next class). More directions regarding motion-matching activity, then finish. ?Begin assembling spool tractors when you finish? Mr. Stapleton background, philosophy, etc. Sign and return course expectations by next Wednesday, 9/3. Turn in the whole sheet. If you need another copy, print one from this website.